Don’t have New Year’s Eve Plans? Then you should probably find your way to Colorado to witness Decadence. The festival is known to have some the biggest names in EDM and this year is no different. With a stacked lineup just being released featuring: Skrillex, Marshmello, Above and Beyond, and Zeds Dead. NYE 2018 will be one to remember for a long time. The two day festival on December 30th and 31st will have you dancing through the night from 6:30pm-3:00am. 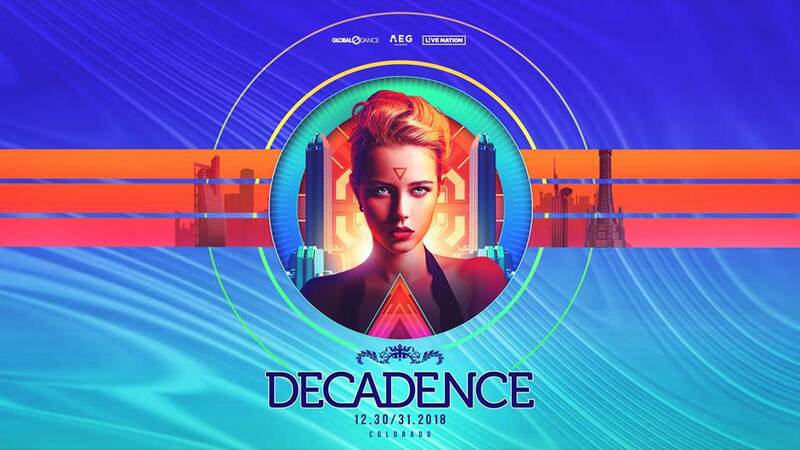 Starting in 2013 Decadence has established themselves as “America’s largest New Years Eve Dance Celebration.” Located in the Colorado Convention Center you will also be able to witness even more artists like Bassnectar, Alison Wonderland, Eric Prydz, and many more. Click to check out the full lineup talent. While there, you will have the chance to experience the Silent Disco. Grab a pair headphones and be connected to the music while dancing alongside your closest friends. With the lineup being released, tickets are expected to sell out soon. GA Tier 1 is already sold out both nights so if you want to buy the cheapest tickets, buy them now! 2-day GA Tier 2 start at $219 plus fees. Tickets can be bought . Armin van Buuren Collaborating with Axtone's Shapov?